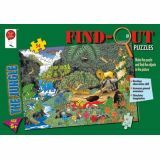 28 big jigsaw pieces for small hands. 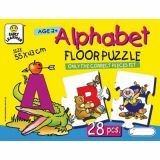 Introduces children to the letters of the alphabet and their sequence. 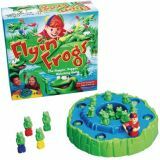 Easy recognition, easy handling and easy learning! 28 Pieces. 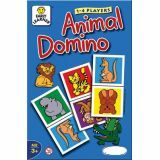 A popular game that develops the observation skill of children by quickly identifying and matching the different animals. 28 Cards. ABC studio includes 28 letters and one building block style board. 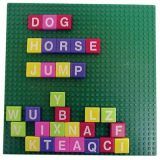 The letters can be manipulated on the board to create words. 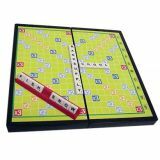 Construct crosswords with letter tiles to accumulate points, the player with the most points wins the game. 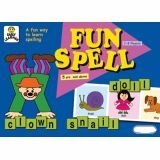 This game promotes social skills, spelling, planning and counting. Magnetic 2-4 players. 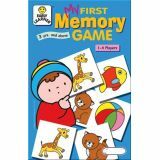 Educational word game to help children name and spell objects by matching the pictures on their picture cards. 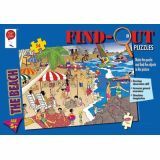 Contains 8 picture boards, 1 letter card and play plus instructions. 2-8 players. 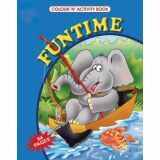 Color and activity books. 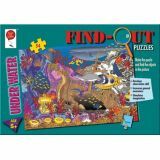 64 pages of coloring and fun activities for all ages. 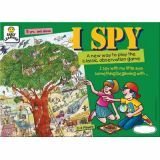 An exciting colorful game to develop the visual and memory skills of children in an easy way. It is fun to look for two identical pictures in the jumble. 48 Cards.